In the course of wanting to travel overseas most travelers end up being scammed or even cheated! Travel agents are making it big time in recent years all thanks to the surge in numbers of those who wants to travel abroad for one reason or the other. Travel agents charge you an exorbitant fee just to help you book a flight when in actual fact you can book flights from the comfort of your home. So why pay more? Permit me to borrow a script from an advert. 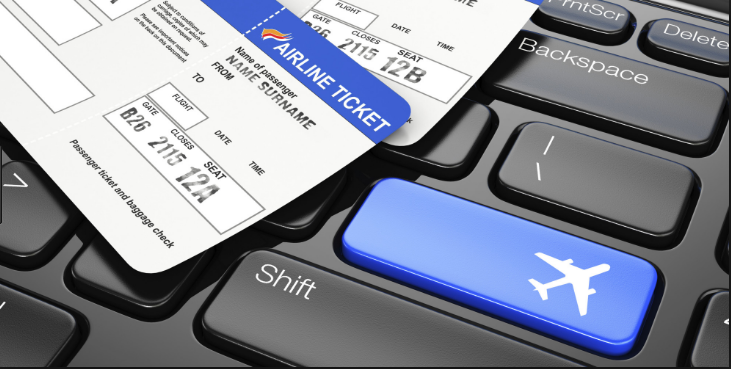 But in this guide I am going to expose you to some of the tips and tricks you need to book very cheap flights online for your next travel. Just recently my elder bro wanted to travel to Dubai and he had to go through an agent to book his flight ticket, so in the course of our discussion I asked how much was the flight ticket and he said N350, 000. I was shocked, even though I haven’t gone to Dubai before I knew that price was on the high side so I decided to do a research and checked out the price from Kenyan Airways and to my utmost surprise I saw that the actual price for the flight booked was N118, 000. Can you imagine the agent charged him over 200% extra? Now in order for you to be able to book cheap flights online you have to understand some certain facts and concepts. Here are a few things you need to know. Most travelers patronize and deal with travel agencies instead of dealing with the airlines directly and that means you are ready to part with extra cash. Now I am not trying to take jobs away from the travel agents. You need the travel agents to help you process your visa and other travel documents but book your flight on your own because it will be cheaper. When you want to travel book your flights months ahead because it will be cheaper when you book ahead of time, because there would be less competition for sits. Book your flight like 3 months ahead. Check which of the airlines offer a cheaper rate. Airlines are in serious competition to win customers so you have to leverage on that advantage. 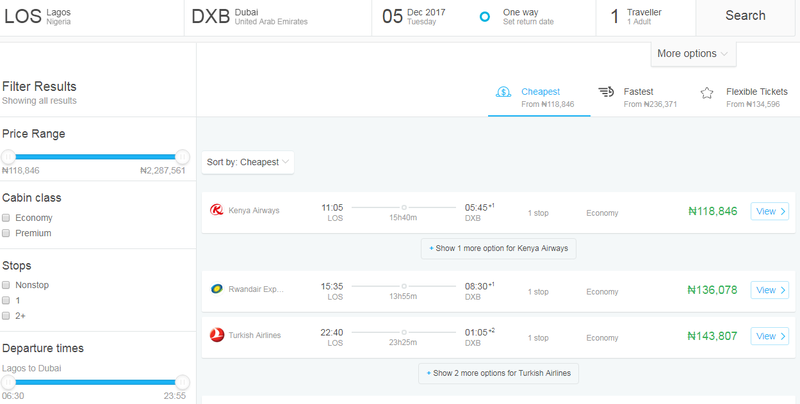 Don’t be surprised Emirates is going to Dubai for N90,000 while Kenyan airways is going for less or even higher. When you have your Visa at hand and have made up your mind on the date you wish to travel then take your internet enabled device and follow these steps. For the sake of this article we will be assuming you are going to dubai. - Next, you will get a list of search result, skim through and click on the search result most relevant to what you are looking for. 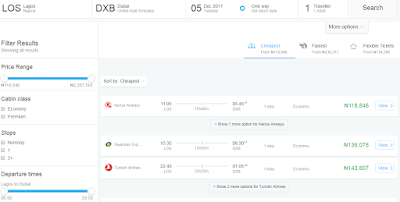 - When you get to the landing page of the site that handles the flight booking navigate through and search for the airlines that offer the cheapest flight to Dubai. - If satisfies with their price book your flight. When booking your flight be careful to search for airlines that allow you deposit a percentage of your ticket so you can balance up when you are about to travel. It is not advisable you pay in full.